If you ever have dishwasher problems, we're here for you. 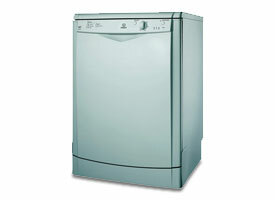 Our fully skilled engineers are able to do dishwasher repairs 6 days a week for most parts of the UK. We can arrange to visit on a date that suits you and we’ll call 30 minutes before we arrive. The fixed price includes the call out to your home, labour and parts. If we find that your dishwasher is beyond economical repair*, we will give you a full refund. Your repair also comes with a 12 month guarantee. For additional protection, you can also purchase our Expert Repair service. This gives 12 months cover on other faults and general breakdown. Are you having dishwasher problems? All repairs subject to assessment. *We determine that a device is beyond economical repair if the cost of the parts to fix the fault are greater than £150. Currently we are unable to repair the following: Baumatic, Bush, CEDA, Dyson, Fisher & Paykel, Frigidaire, General Electric, HEC, HomeKing, LEC, Liebherr, Maytag, Miele, Norfrost, Royal Sovereign, Servis and Swan.